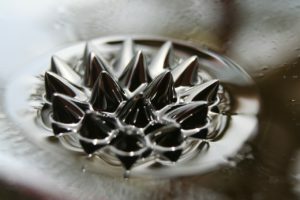 A ferrofluid is a liquid that becomes magnetized in the presence of a magnetic field. With this comes a whole lot of fun, and appears to be magic right before your eyes. Take a petri dish of this opaque black fluid and slide a magnet underneath, and you will see something take place that you would never have thought possible. 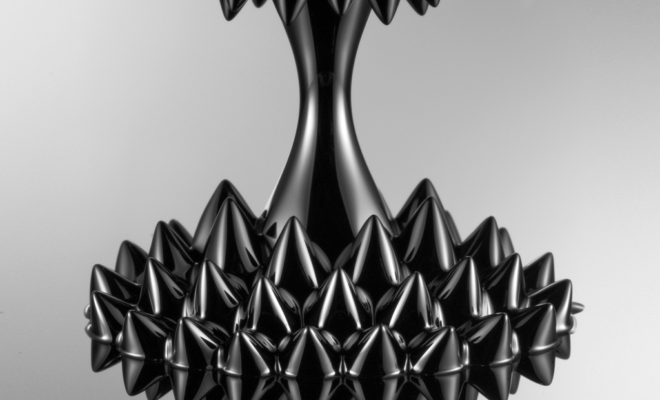 The ferrofluid becomes magnetized and black needles begin to rise from the liquid; a mind-expanding experience. Due to the fluid being ferromagnetic, there is an endless idea of cool tricks to do with it, and it holds the ability to keep you trapped there playing with it for hours on end. Check out the video below to get a better idea of the fun one can have with this amazing fluid. Now to get down to the technical chemistry of it, a ferrofluid is a colloidal suspension. This means that tiny particles, ranging between 1 and 1000 nanometers in diameter are suspended in the liquid and dispersed evenly throughout the container. To put it in easier understood words, one substance is just evenly dispersed in another substance. In the case of ferrofluids, the substance being evenly dispersed are tiny magnetic particles. This is oftentimes an iron oxide such as magnetite (Fe3O4) or hematite (Fe2O3). These nanoparticles of iron oxides are suspended in a carrier fluid such as water or organic solvent. Why iron oxides you may ask? Well iron oxides are ferromagnetic meaning that they contain permanent atomic magnetic dipoles that are spontaneously oriented. 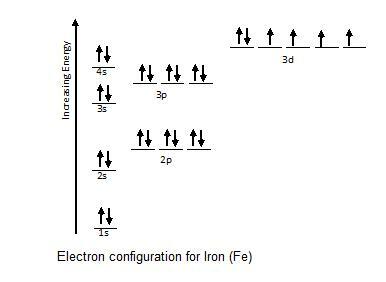 For example, if you were to write out the electron configuration for iron, you would see that it has four unpaired electrons in the 3d orbital. These four unpaired electrons are what makes iron ferromagnetic. They all spin in the same direction and a magnetic dipole is what results. Compare the unpaired electrons to all the other electrons and you will see that all other electrons found in the orbitals are paired electrons meaning that they have one electron spinning up and the other electron spinning down. These magnetic dipoles cancel out. It is the special unpaired electrons that make iron ferromagnetic. Any element that has unpaired electrons will have magnetic dipoles. 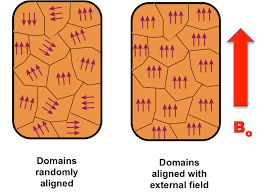 In the case with iron and iron oxides, the magnetic dipoles are oriented randomly (ferromagnetic) and therefore, when a magnetic field is applied, they all orient in the same direction and, as a result, become magnetized. When this concept is applied to ferrofluids, the effect is very fascinating as the magnetic nanoparticles are attracted to the magnetic field and pull the liquid with it, which is why black needles can be seen. So now that the chemistry of it all has been explained, it may be fair to ask where ferrofluids exactly came from? Ferrofluids came about in 1963, when NASA’s Steve Papell invented it as a liquid rocket fuel that could be drawn toward a pump inlet in a weightless environment by applying a magnetic field. In the many years to follow, the process of making ferrofluids was improved as more highly magnetic liquids were synthesized and additional carrier fluids were discovered. Nowadays, people even attempt to synthesize their own ferrofluids as seen here. Besides just being an entertainment piece, ferrofluids actually have many applications to the world and the uses of ferrofluids are still being discovered. Due to the chemical properties of ferrofluids, they can be positioned very exactly with the use of a magnetic field and also have the ability to reduce friction. They are can be found in hydraulic suspension pistons, as a liquid seal in many electronic devices, and in loudspeakers to help improve their performance. In the medical field, ferrofluids are used to carry medications to exact locations in the body and as a contrasting agent in MRI scans. Ferrofluids are amazing creations due to the application of chemistry, and yet, don’t have the spotlight in the world that they respectively deserve. You can get your own bottle of ferrofluid online, and can impress your friends and family, as well as help spread the word of miraculous ferrofluids.